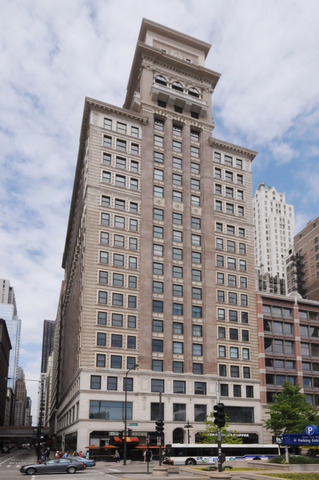 Find the newest 6 N Michigan Chicago Loop condos available for sale and the best real estate listings in Chicago for viewing. 6 N Michigan is a condo building located in Chicago, Illinois that offers a wide range of amenities to fit any lifestyle. See today's 6 N Michigan condos for sale & 6 N Michigan real estate property listings below. Browse our Chicago condos, lofts, Chicago penthouses and Chicago highrise condos for sale by location, size or price and let this website be your regional real estate guide. We would love to be your Chicago real estate agents and assist in the condo buying process. For information about condominiums available in 6 N Michigan or to schedule a private showing, contact your local Chicago Loop real estate experts today. Read more about 6 N Michigan real estate. Purchasing a condo at 6 N Michigan? Call 312-810-6693 to reach your local 6 N Michigan real estate team, Guarnero Group Compass. Our experts will offer guidance to help you through the Chicago Loop real estate market. Planning to buy or sell a condo in 6 N Michigan? Let our local Chicago Loop real estate team guide you through the sale of your current 6 N Michigan condo or purchase your next 6 N Michigan property. As 6 N Michigan real estate agents and real estate agents, we're well-versed in the unique market dynamics of Chicago IL real estate. We're ready to work with you today! Contact Guarnero Group Compass to learn more about representation for buyers and sellers. Preparing to sell your 6 N Michigan condo? View our comparative market analysis page to receive a free 6 N Michigan property evaluation within moments.